Australian sprinter Il Cavallo, a three-parts brother to Starspangledbanner, is to return to racing having been found to be infertile at stud. Mark Fraser-Campin and Chris Campin had purchased the son of Choisir to take up stallion duties at Chequers Stud in New Zealand. Fraser-Crampin said: "He's basically infertile, he only got three mares officially in foal. Obviously, it was a disaster of a season for us. We got him for all the right reasons and it's just been very unfortunate. "We had 80 mares booked to him so we would like to thank all those breeders for their support and patience during what was a tough and disappointing time for all concerned. "Starspangledbanner also suffered from fertility issues, and only covers a limited book, so maybe it's something in the family." Owned and bred by Makybe Racing and Breeding, Il Cavallo is out of the winning El Moxie mare Gold Chant and was trained by Peter Moody to win five races. 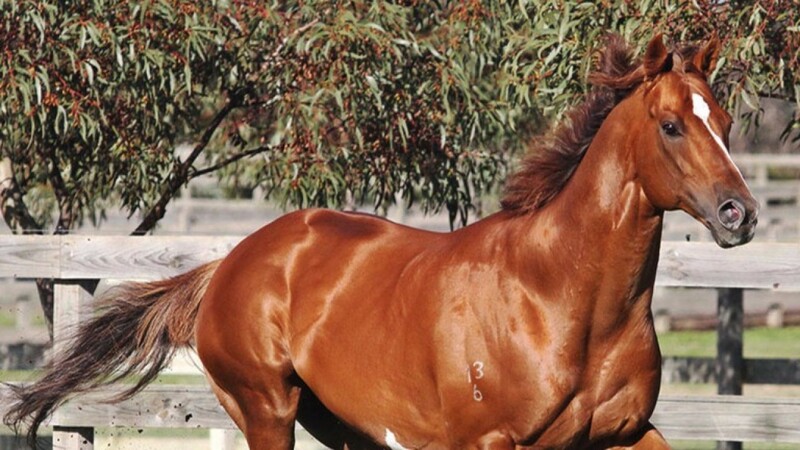 He is a half-brother to Group 1 winner Amicus and is a three-parts brother to champion sprinter Starspangledbanner. He also finished second in the Listed Pegasus Stakes and third in the Listed Carlyon Stakes. Fraser-Campin added: "We decided to try him again as a racehorse so we've gelded him. As a stallion it was hard to get weight off him, he was a big, heavy horse and now he's come down from 650kg to 595kg. He's done six weeks on the treadmill and has been back in full work for a couple of weeks. "He'll probably have a trial in February and by the time he's ready all the big sprints will have gone so we'll look for an open race for him. We could possibly look at Brisbane if he came up really well. It isn't going to be easy, but we like a challenge. As one door closes, another opens."